Cocktails in Korea used to mean fruity concoctions at family restaurants and hotel bars. Sweet, brightly colored, and with the subtlety of blunt force trauma to the head, they were usually fun but not very sophisticated. However, just like traditional alcohol and beer, cocktails are enjoying a bit of a renaissance in Seoul, with a new crop of bartenders serving up delicious concoctions from faithful takes on prohibition classics to reinterpretations and surprising spins on old cocktails and many entirely new drinks that combine top-shelf liquors with a craft aesthetic. 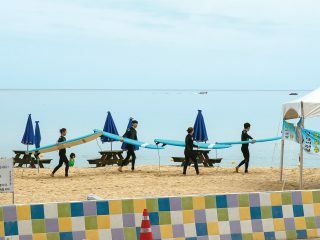 A surprising center for this flurry of activity is Naeja-dong, a wedge of Seoul between the old world charms of Seochon and the buttoned-up offices of Gwanghwamun. In the maze of narrow Hanok-filled alleys lies Cobbler, a tiny bar that seems an unlikely home of Seoul’s cocktail revival. That’s fine by Robin Yoo, the founder and head bartender. “I decided to create this bar as a place where I could work on my craft in an intimate environment. 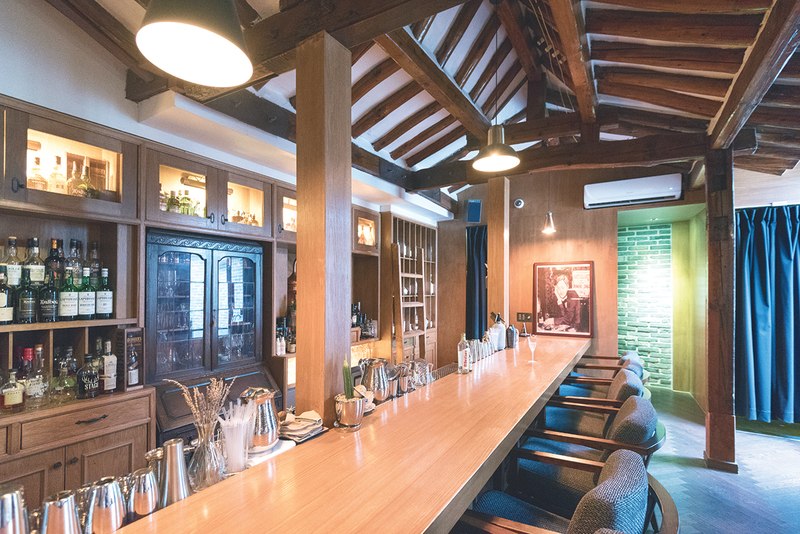 I didn’t want something huge or fancy.” Visitors approach through the small courtyard and enter a small Hanok that retains elements of Korean tradition combined with a kind of old-world elegance evoked through wood paneling and antique European furniture. The drinks, too, show an incredible level of attention to detail and nuance, each carefully chosen and meticulously balanced to create just the right feelings of sophistication and comfort. Cobbler is more than just a place to serve up drinks for Yoo and his staff. When he and some friends started their first independent bar, Robin Square, he figured it would last a few months and serve mainly to give him and the staff some experience. Instead, it lasted for ten years. Cobbler was also started with the idea that it would be a sort of experiment and then fade away, but instead it’s turned into a neighborhood hotspot where Yoo and his staff share their expertise. Even a quick question about the name of the bar turns into a fascinating lecture on the history of cocktail paraphernalia, with Yoo pulling out examples of different styles of shakers, from antique to modern. 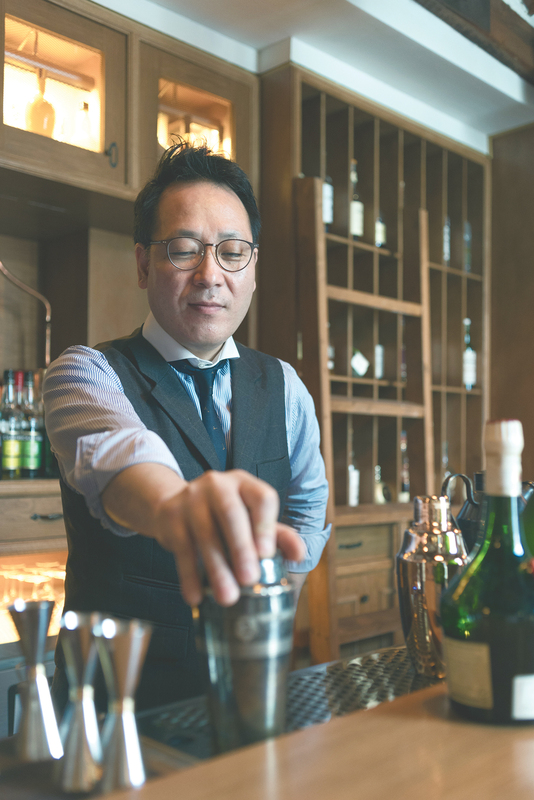 “We started serving cobbler here alongside the drinks because I wanted to do something easy and seasonal, but the name is actually from a style of shaker,” explains Yoo, pulling out a beautiful copper shaker, and then an antique one to compare. 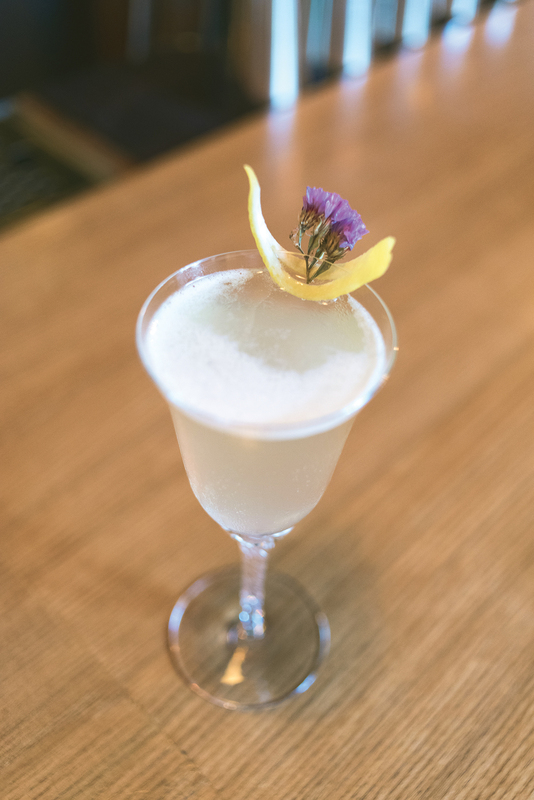 That said, the delicious seasonal peach cobbler brings a bright note of summer to the bar, alongside a shimmering concoction of Champagne and lavender bitters or a Ramos gin fizz.